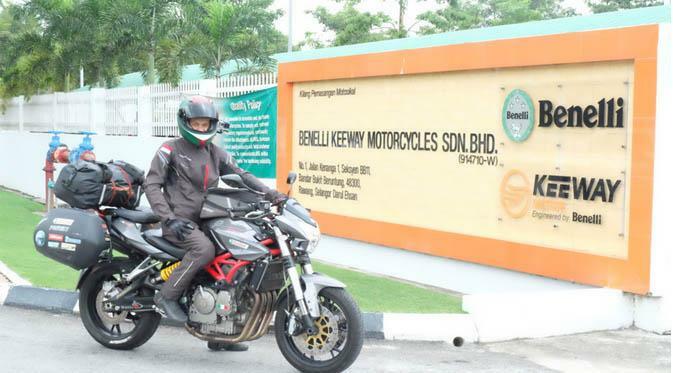 DSK Motowheels, one of India's most well-established and strongest players in the superbike industry and the legendary Italian superbiking brand, Benelli are proud to announce that Mario Iroth has chosen the Benelli TNT 600i for his remarkable bike ride from Indonesia to Italy. Mario will be riding through 14 countries across the world over the next 6 months to reach his ultimate destination, the Benelli factory in Italy. Driving with a vision to experience the culture and natural resplendence of every country, Mario is at present in India with Pakistan as his next stop. Speaking on his decision of choosing the Benelli TNT 600i, Mario said, "When I decided to embark on this ambitious ride, I knew I could do it only with a bike as powerful and reliable as the Benelli TNT 600i. After having completed the first leg of my journey, I'm completely satisfied with my decision. The street- fighter is mettlesome and has proved its much-spoken-of performance capability. It is only befitting that the culmination of this pilgrimage is the birth point of my partner in this mission, the Benelli factory in Pesaro, Italy." "The edgy design language, striking looks of the bike and the fact that it makes heads turn wherever I go certainly don't hurt," he quips. DSK Motowheels is assembling and selling Benelli bikes across India and supporting them with good service backup and spares. 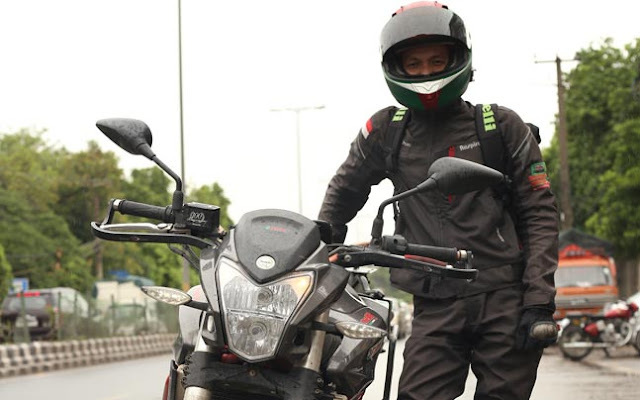 Shirish Kulkarni, Chairman, DSK Motowheels said, "We were thrilled to find out that Mario Iroth has chosen the Benelli TNT 600i for his awe-inspiring journey through 14 countries. We weren't, however, the least bit surprised because to carry off a ride of this magnitude on a single bike isn't easy. It requires great tenacity, reliability, power and world-class build quality, all of which are embodied in this marvel of a street-fighter. We are pleased to know that Mario has found his choice to be ideal and wish him good luck for the next part of his extraordinary ride." Mario embarked on his phenomenal journey from Indonesia on 21st April 2015 and is expected to reach Italy by the end of October, 2015.